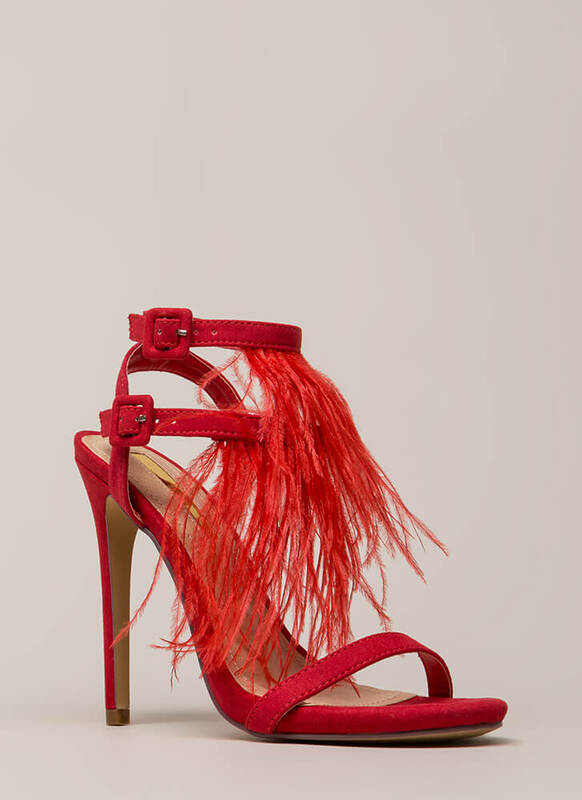 Now you can have feathered fringe on your head and your feet. 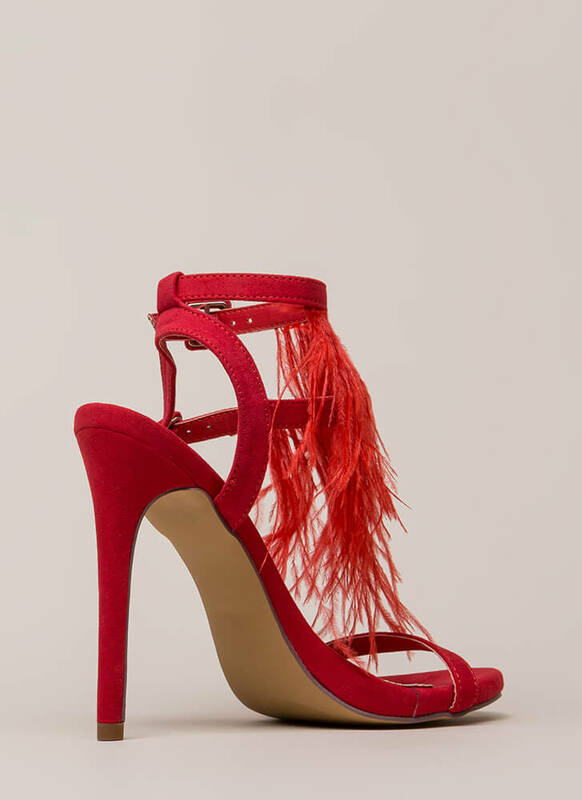 Open-toe vegan suede heels feature skinny straps throughout -- a plain toe strap and two ankle straps trimmed with long faux feathers for a shaggy fringed look. Shoes are finished with a stiletto heel and a ridged sole.